“Thanks to Juan Carlos for providing the best opportunity for capturing my amazing photographs. He is the snake-wrangler and bird-whisperer that made every shot possible. During 10 days of shooting I took almost 9,000 pictures, even though we lost two days of shooting because of heavy wind and rain at the Arenal Volcano. I shot 900 on the day we shot hummingbirds and 135 of the Violet Sabrewing alone. Juan Carlos said that we shouldn’t think of our photos as children and that we need to evaluate our photos with a critical eye. I had a difficult time determining which one of my Violet Sabrewing photos was the best image. Every one of them was my favorite. Juan Carlos worked tirelessly to stage the photos with perches, lighting and background. All this was done to provide a natural looking picture. The advantage of having a local award-winning photographer paid off time after time. The knowledge that I gained has made me a better photographer”. 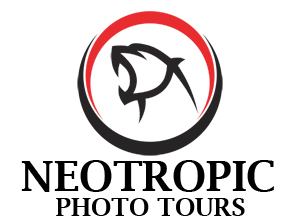 “My tour with Juan Carlos Vindas in Costa Rica was my single most important photographic experience. Since the tour, my photography has improved tremendously, thanks to the techniques he taught me.” Thank you, Juan Carlos. “I can simply sum it up as “fabulous”. We saw everything we had hoped to see and much more, including both Motmots, three Trogons, two Owls, a Manakin lek, Crested Guan, Chestnut-headed Oropendola, Emerald Toucanet, White-throated Magpie-Jay, plus new Tanagers and Hummingbirds. Seeing the Emerald Toucanet flying food to its nest was a treat. Our time with the Macaws was well-spent, with lots of new photos of the Scarlets, Great-Greens, and assorted smaller Parrots. The top target was the Resplendent Quetzal and we saw them several times, with magnificent long tail plumes. Also top targets were some animals, namely Monkeys and Sloths. We saw several groups of Howlers and got good photos. While we saw both Spiders and Capuchins, they did not lend themselves to photos. Both Sloths were seen well and photographed. But the star of the trip had to be the gorgeous Margay, a totally unexpected and incredible find.